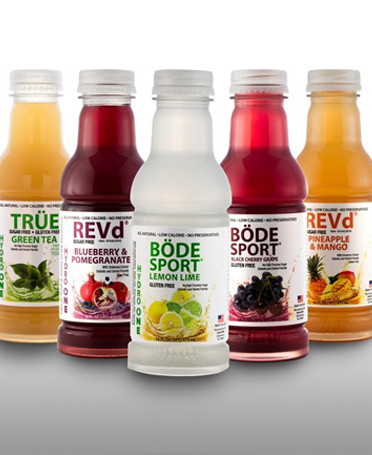 REV-d was designed by our own team of doctors and research scientists with the help of an accomplished athlete to give the health-conscious consumer a sugar-free alternative to the common vitamin drink. 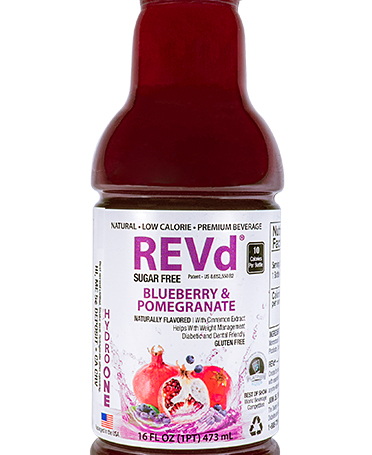 REV-d is diabetic friendly and contains Cinnulin PF, a highly purified form of cinnamon extract which has been proven safe in managing the symptoms associated with diabetes. 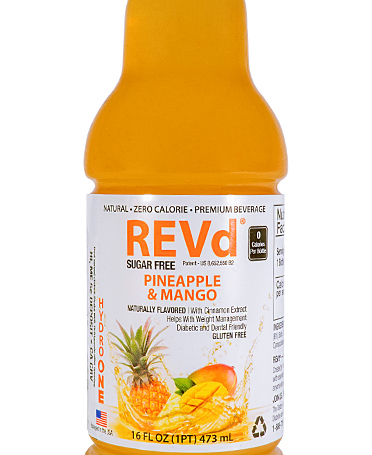 Hydro One REV-d contains all-natural FDA approved ingredients and is gluten-free with no artificial coloring or flavoring. Hydro One REV-d has 0 sugar grams, 0 fat grams, and 0 carbohydrates and is packed with 10 nutrients and vitamins (see nutritional facts below). Hydro One Premium Beverages are hot filled with reverse-osmosis water for pasteurization and each bottle of Hydro One REV-d carries the dietary Exchange List verification for Meals planning. Hydro One REV-d, with only 5 calories per serving, is a super low calorie meal replacement and not intended to diagnose, treat or cure disease. Drink 2-4 bottles a day for optimal results. INGREDIENTS: Filtered Water, Citric Acid, Natural Flavors, Magnesium Gluconate, Ascorbic Acid, Vitamin E, Pyridoxine Hydrochloride (B6), Thiamine Mononitrate (B1), Biotin, Cinnulin PF® (Cinnamon Extract), Beta Carotene (For Color), Folic Acid, Rebaudioside A 97% (Stevia Extract), Vitamin D, Chromium Picolinate, Cyanocobalamin (B12), Xanthan Gum, Guar Gum, Gum Acacia. Cinnulin PF® is a trademark of IN Ingredients.